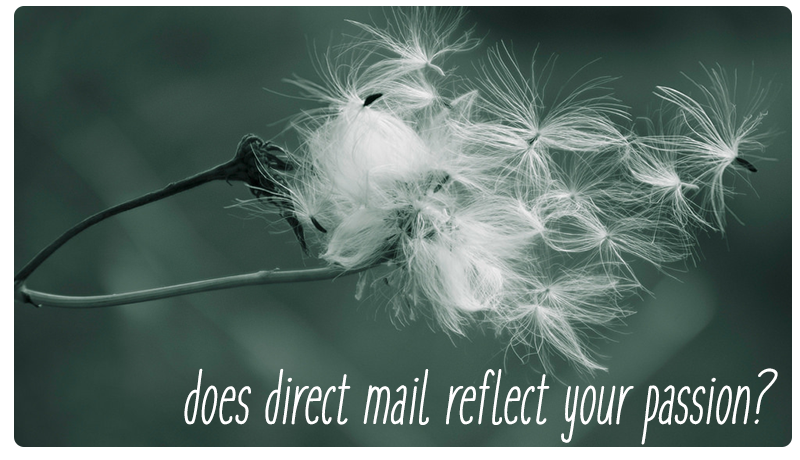 Does Direct Mail Reflect Your Passion? Ten years ago, nonprofits sent out the same types of direct mail pieces in droves, and they hoped that the message would stick. Now, with the decline of success in email-based marketing, direct mail is back in the spotlight – and it’s getting smarter every year. We live in a world where individuals, especially millennials, don’t want to donate to the same “big” nonprofits anymore. They do research to learn more about a company’s story, their values, their impact, and who makes up their team. The rise of startups and sites such as Kickstarter and Kiva have made individuals desire investing in something small and unknown, with the hopes of it one day becoming large. How, then, can nonprofits in need of donations and acquisitions stand out? It starts with putting passion back into their direct mail. Starting with good data is ideal – it helps an organization understand their donors and volunteers, as well as their corresponding contributions, activities and interests. Ensuring that addresses are current and accurate can lower the probability of returned mail, which means less money wasted. Segmenting lists with services such as RFM segmentation can allow companies to pick from the best pool of contacts, which is especially important when budgets may limit how many letters can be sent. Donors and volunteers want to know that they are more than just a number. By incorporating variable data printing into a mail piece, companies can personalize their message in several ways, including a mention of previous gifts, or greeting them by their first name. These are small but effective touches that can help a recipient feel appreciated and recognized. Having clean data plays into this aspect of direct mail as well – addressing someone by the incorrect name, for example, can be detrimental to the recipient’s trust and respect. The envelope uses an attention-grabbing font and bright colors to display the issue the organization is raising awareness about, as well as an image that truly puts the message across. Everybody loves receiving surprises in the mail. Nonprofit organizations who recognize this find creative ways to reflect the passion of their company by including a small, lightweight gift in their mail piece. This can instantly boost the attention of the recipient, and it’s also an easy way for a recipient to feel like he or she is helping a cause on a very small scale. The full version of the Sierra Club letter below is a great example of how to display passion for a cause through the use of design, variable printing and a small inserted gift. Raising awareness for the decline of honeybees is simple to do through a letter, but even more powerful with the inclusion of “bee feed” flower seeds, as well as some stickers. This small gift allows prospective donors to immediately take action towards benefiting the cause. Direct mail has become a powerful tool for fundraising efforts, and there is a plethora of options and ideas for how to share your organization’s passions with the rest of the world. The best place to start is the Bridge Conference in Washington, D.C. on August 2-4! You’ll have the opportunity to attend powerful speaker sessions and rub elbows with some of the country’s biggest nonprofit organizations. When you stop by the Midwest Direct booth (#503), you’ll learn more about our commingling service and how it has saved other nonprofits money simply by combining their mail. This is an important, and easy, step in retaining more of your budget for the projects that matter most. Register now!